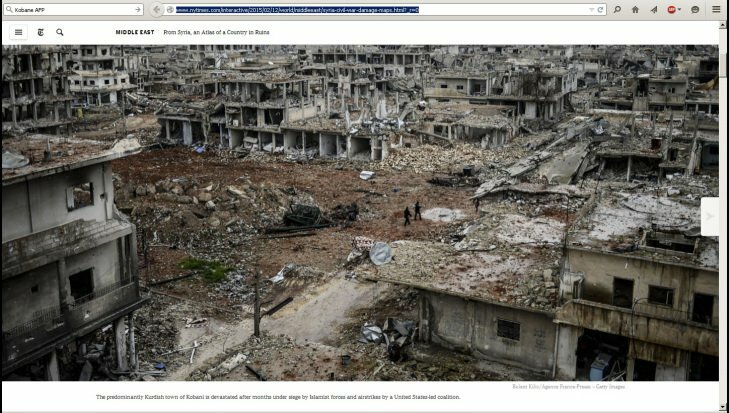 According to HRW the picture of the destroyed town is somehow related to Syrian “barrel bombs.” That is not the case. Massive U.S. bomb attacks obviously destroyed the city of Kobane. The U.S. no longer uses improvised “barrel bombs” dropped from planes and helicopters. It did use “barrel bombs” extensively in Vietnam. Syrian “barrel bombs” did not destroy the city of Kobane. It was destroyed by regular U.S. air force bombs. Damage by “barrel bombs” could hardly be worse. Indeed “barrel bombs” thrown out of hovering helicopters are likely much better targeted and more precise than unguided bombs dropped from fast moving jets. 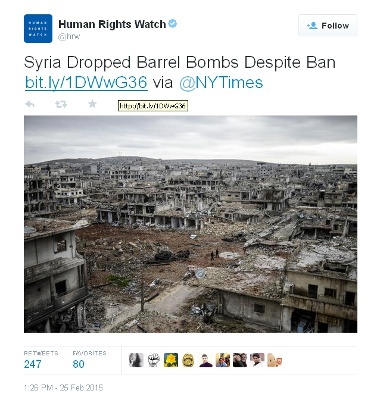 The Human Rights Watch tweet includes another deception. It links to a February 24 piece by the New York Times as if that piece would somehow confirm HRW`s claim. But that New York Times piece is not a neutral report. The piece, headlined “Syria Dropped ‘Barrel Bombs’ Despite Ban, Report Says”, is solely about a HRW report about “barrel bombs” in Syria. The HRW tweet is in effect linking to its own claims disguised as a link to a reputable source. It is interesting, and noncredible, that Human Rights Watch feels the need to use a picture of “good” U.S. created destruction to demonstrate destruction created by the “bad” Syrian army in its fight against U.S. supported Jihadis. 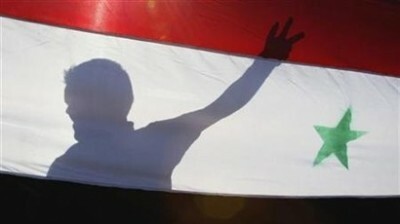 The picture is obviously not the only thing HRW gets wrong. This is not the first time HRW is using pictures of the “wrong” side. In October 2014 it used a picture of a woman crying over Ukrainian federalist, who were burned to death by Nazi-hordes in Odessa. to call for a “stand against Putin’s repressive policies”.